The Prague Zoo, which opened in 1930, is located in Drahan-Troja Nature Park and is considered one of the most beautiful zoos in the world. Set on 140 acres and home to over 4000 animals representing over 600 species with over 100 of those species listed as threatened, the Prague Zoo has been a part of the top ten zoos in the world for years. The Zoo is involved in various conservation programs covering species that inhabit the Troja Basin, where the Zoo is located, and throughout Europe to farther afield by helping to return Przewalski horses to the wilds of Mongolia and saving gharials in India. The Zoo has also been a leader in breeding for nearly as long as it has been open with the first captive-born Andean condor in the world back in 1938. 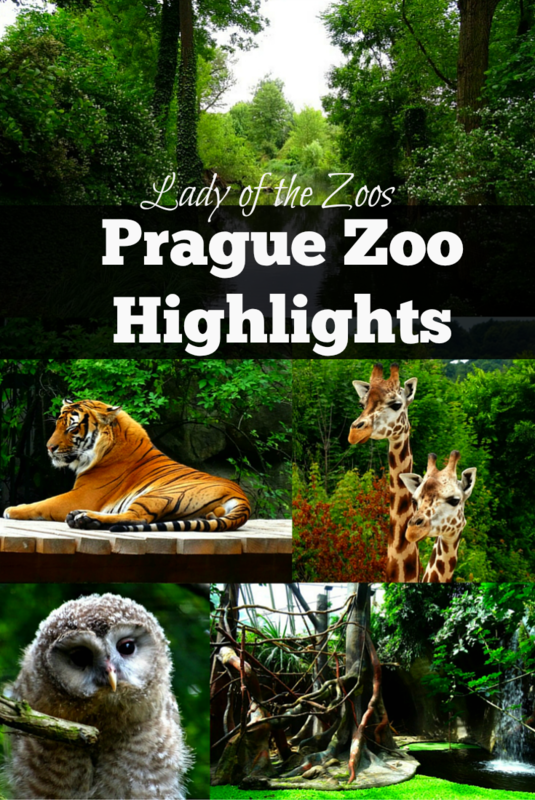 On the day I chose to visit the Prague Zoo I decided to take the boat up the winding Vltava River to the zoo. After a beautiful 75 minute ride offering a great perspective on Prague we docked at the park and I headed for the zoo’s entrance. The Prague Zoo is large so to make the most of your day be sure to get there when it opens, at 9am. I was there nearly from open to close and still missed some. The zoo is well laid out but is also on quite the hill and with so many trails leading to new and exciting exhibits make sure to grab a map. During my visit to the Prague Zoo there were plenty of highlights from cute baby animals to fantastic exhibits and much more. There were so many baby animals at the zoo when I visited last summer (2015), including; an adorable baby orangutan with its crazy hair, an inquisitive young gorilla, a pint sized elephant who seemed to be all trunk and a bunch of owlets. Definitely one of the highlights for me was all the baby owls (owlets)! I’m sure owlets take the prize for the cutest baby birds! The great grey owls had a young and while I was watching them one of the parents was teaching its young to eat a mouse. The other parent was busy grooming its beautiful plumage. 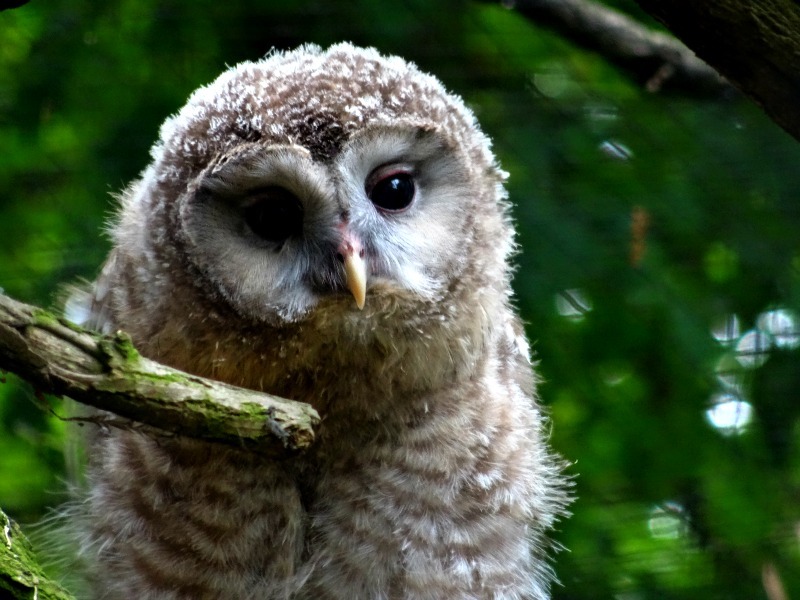 Next door were the ural owls with an owlet who easily took the cake for cutest animal at the zoo as it kept twirling its head one way, than the other, nearly upside-down, looking at me with its adorable round eyes and fluffy feathers. 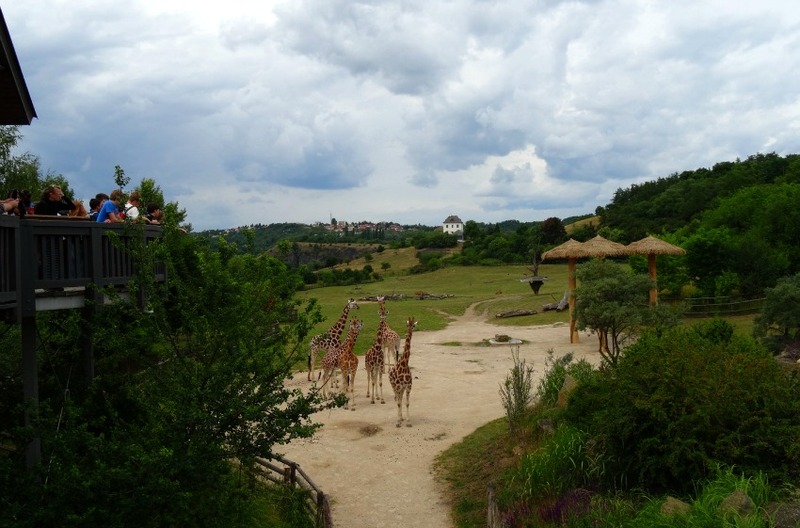 I was pleasantly surprised and blown away by the Prague Zoo and its many naturalistic enclosures. 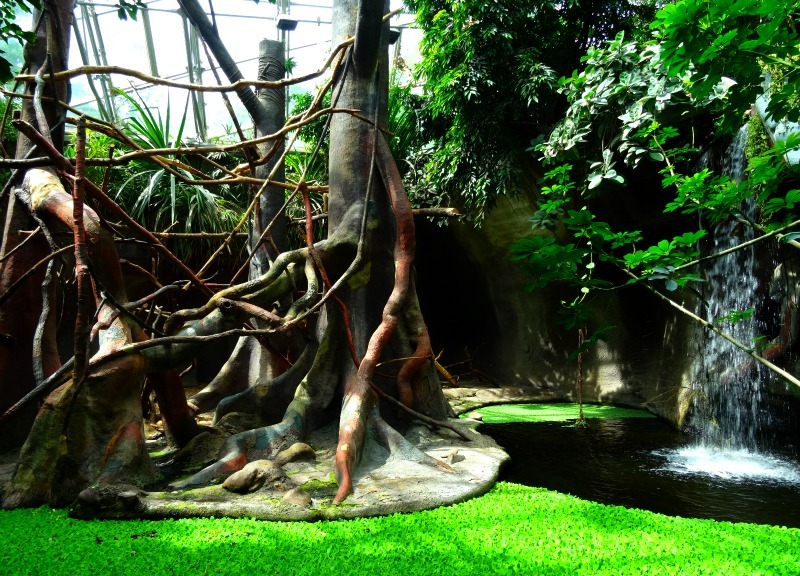 From its epic African Savannah to its walk-through lemur forest the Prague Zoo is an awesome attraction in the city and offers visitors a beautiful place to discover new species and learn about them and their wild habitats. One of the first pavilions I entered was the one which was a great first impression. Home to vividly naturalist enclosures, many of which were multi-species, and a twilight zone. The twilight zone was home to natural species like the slow loris – that to my surprise was actually moving around. There was also a free flying bat section – which was awesome to see them swiftly moving through the air. But don’t worry they won’t fly into your hair and won’t harm you. Always a favourite for me are enclosures where the visitor can walk-through, being literally surrounded by natural trees and foliage and within arms reach of the animals that call it home. The Prague Zoo’s lemur exhibit is one such exhibit. Wandering along the path you are transported to the forests of Madagascar, surrounded by trees, dense brush and even a little stream. Bouncing in the trees and climbing along ropes are the charismatic ring-tail lemurs. Another great exhibit is the zoo’s African Savannah, a sweeping expanse of land and home to some of Africa’s iconic grazers. I love multi-species exhibits as they show visits which animals live harmoniously together in the wild, plus its beneficial to the animals as it is a degree of natural enrichment. At the top end of the zoo, the savannah is home to a small herd of giraffes, zebras, ostrich, beautiful gemsbok and nyala. Looking out over these amazing creatures it’s like you’re witness to a fraction of Africa’s wild beauty. Next door there’s a meerkat enclosure that’s quite conducive to digging and basking in the sun. During my visit they were all piled up in a cozy meerkat ball of cuteness. 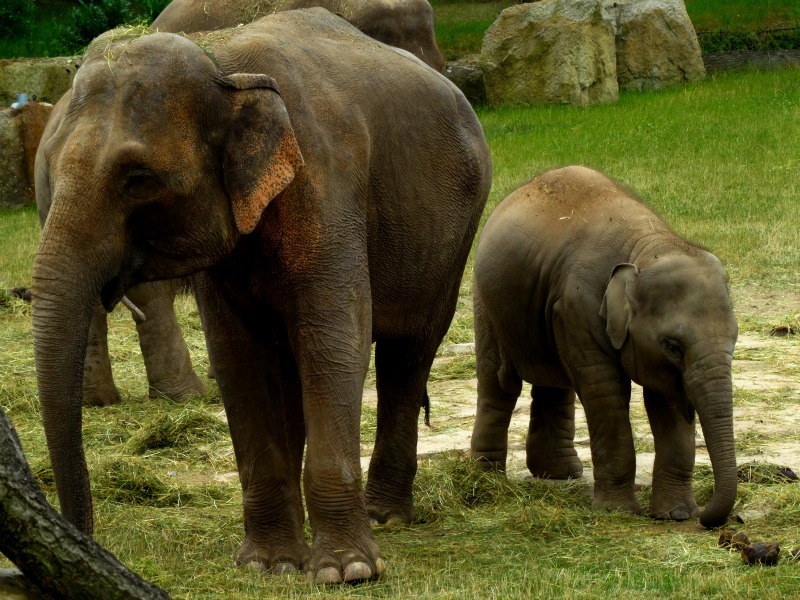 The Prague Zoo’s Elephant Valley, which opened in 2013, is interesting as it’s home to a large yard for its Asian elephant herd as well as a variety of Hindu shines and temples scattered along the trails, all paying homage to the elephant god Ganesh. It all demonstrated how these graceful giants are revered and loved. 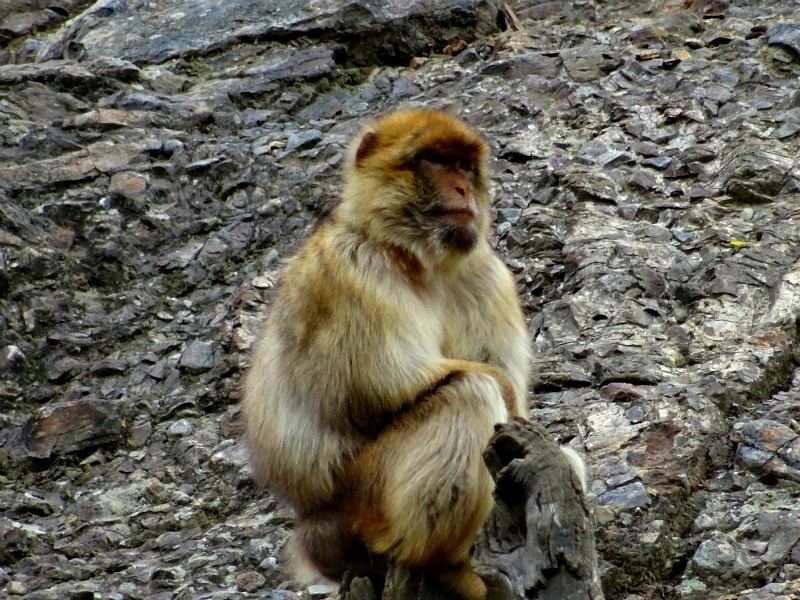 Being as the zoo is built on a virtual hill one side is made into a naturalist cliff enclosure for both Barbary sheep and Barbary macaques. This enclosure expertly mimics their rocky mountain wild habitat of Northern Africa and shows visitors just how amazing both species are as they skillfully maneuver cliffs and jagged rock walls. In 2014 the Prague Zoo created a pavilion dedicated to the critically endangered Chinese giant salamander. The zoo is home to over 30 salamanders, both young and old, one of which is the largest in Europe. Carlos, who is 35 years of age, is over 5 feet in length. The Chinese giant salamander are the largest living amphibians, reaching nearly 6 feet in length and reaching weights of over 100 pounds. These impressive salamanders are found in fragmented mountain streams and lakes of China. Probably one of the best features of the zoo is the wide array of natural habitats for captive zoo bird species as well as native wild species. 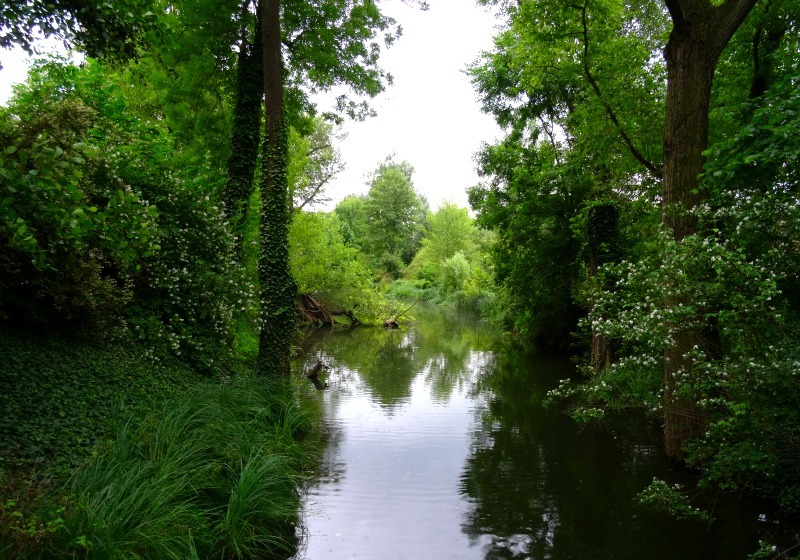 Meandering creeks with gorgeous trees and delicate greenery offer an oasis on the zoo grounds for both visitors and natural wildlife alike. Other great moments of the day included watching a honey badger prance around its outdoor exhibit – so sweet, hearing a tiger roar for the first time in person – it stopped me in my tracks, and climbing the observation tower up on the hill to find stunning views over Prague and the zoo. I’ve been to various zoos across Europe including the Lisbon Zoo, Paris’s Menagerie and the Budapest Zoo, but my favourite zoo in continental Europe thus far is definitely the Prague Zoo. It had all of what those other zoos did not, wide open spaces, great naturalistic habitats and a dedication to continue improving. For more photos of my visit to the Prague Zoo head over to my Facebook Page! I was a guest of the Prague Zoo, but as always all opinions are my own. This place looks amazing! It may be worth a trip to Europe just to see it! It most certainly is! Prague and the zoo is a must!